The recycling is based on a hydrometallurgical process that first makes the batteries safe for mechanical treatment by separating plastics, aluminium and copper and feeding them into their own recycling processes. Cobalt, manganese, nickel and lithium are then recovered and returned to the battery manufacturers for reuse in the production of new batteries. 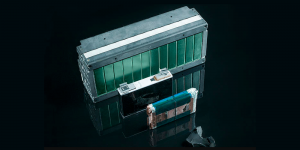 In addition, Fortum is also testing second life applications with batteries that have been phased out as stationary energy storage devices after they are no longer suitable for use in electric vehicles, among other things. In February this year, Volkswagen announced a pilot project recycling plant in Salzgitter, Germany, where they say they are aiming for a long-term goal of recycling 97 per cent of all materials in each battery. Belgian company Umicore currently has the capacity to recycle batteries of about 150,00 to 200,000 electric vehicles. Batteries can and are being recycled, however, currently, it is still cheaper to produce new lithium and cobalt. China wants to obligate manufacturers of electrified vehicles to recycle used batteries. In the summer of 2018, China also selected 17 cities and regions to launch a pilot programme for the recycling of used electric vehicle batteries. Fortum itself estimates that the global market for battery recycling could be worth at least 20 billion euros ($23 billion) a year by 2025 as demand for electric cars takes off.